A lot of times I am surprised when people ask me questions about the proposal they have received from another flooring company. So I decided to dedicate this blog to helping people understand what a proposal should contain. When I first started DC hardwood flooring 25 + years ago. I sat down with a attorney to go over certain aspect of a proposal. So what is listed below is based on his recommendation on what a proposal should look like and have in it, when submitted to a potential customer. First; customers name, address, job address (if different from customers address) telephone number, email, and date (the date is very important especially if the proposal has to be excepted in a certain amount of time, usually 30 days). 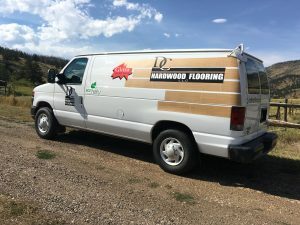 Here at http://dchardwoodflooring.com we do a lot of different things other than installing, sanding and finishing of a hardwood floor. We also do tile, handrails, trim work and basic carpentry work (for example; finishing new doors and installing them, trimming out windows and doors). But in this next section I will focus on the basics. Install, sand and finishing should be the first thing listed. It tells you what the company is going to be performing. The next thing listed should be what type of floor finishes they will be using or what you requested (water base, oil base poly or Glitsa Swedish finish). And personally I would recommend even the brand name to be listed. And let us not forget about the sheen (the shine on the floor; gloss, semi-gloss or satin/matte). Next, what type of wood and this should be very SPECIFIC! For example; #1( which is the grade, you have a choice of three grades; select, #1 or #2) red oak 3/4 solid x 2-1/4 wide x random lengths. Then where is it going to be install (living room, dining room etc). The last thing that I list on my proposals are the extras and I list them separate so the homeowner will know what I will be charging and they are hauling away all garbage, tape and tarping, removing of old floor coverings (tile, carpet, vinyl etc), remove old base board and re installing. Please keep this in mind when you request a proposal. Hardwood flooring proposals are going to be semi custom / tailored to your request. So as a helpful tip, write down your requests and check to see if they are listed on the proposal.